Rumours have been flying since an alleged Columbia Records memo leaked, hinting at the possibility of a follow-up to Queen Bey's self-titled album and a new deluxe version of it. 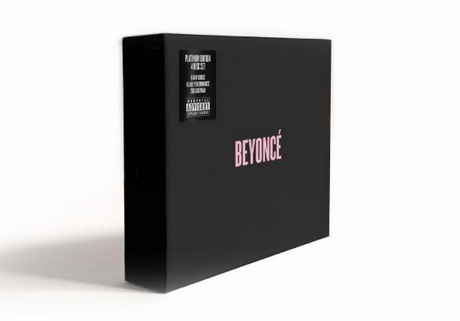 Well, there's no word on when Beyoncé's next new album will arrive, but the Beyoncé Platinum Edition Box Set has been confirmed. Set to arrive on November 24, the deluxe reissue of last year's surprise album will feature four discs including: the original 14-song album, the accompanying visual disc of music videos, a bonus audio CD and a live DVD. The bonus audio tracks include remixes from Kanye West, Pharrell Williams, Nicki Minaj and Mr. Vegas, as well as two new tracks titled "7/11" and "Ring Off." The live DVD will feature performances from last year's "Mrs. Carter Show" world tour. Fans who bought the previous incarnation of the album will apparently be offered a means to add the bonus material to their purchase. The official tracklisting is available below.